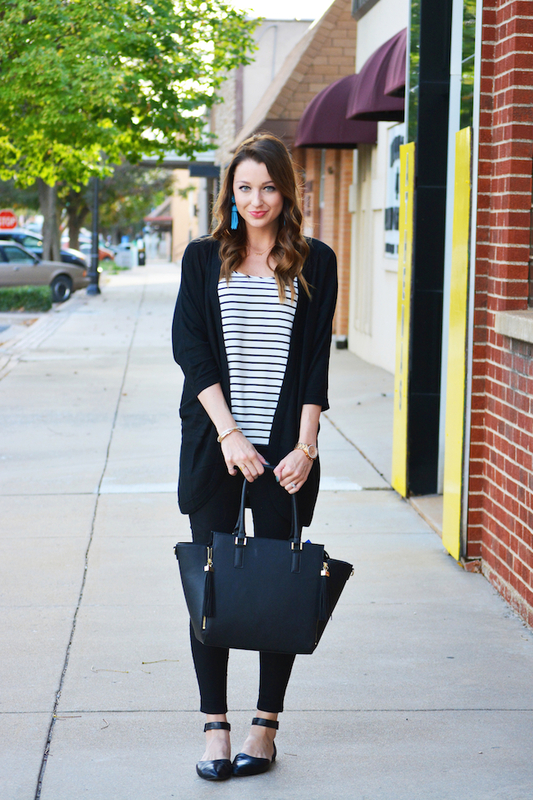 This was the perfect comfy work outfit for a Monday sans-meetings, and I can't get enough of this long black cardi. I've always been a fan of all-black (even if Anna Wintour is not), and I've already found myself wearing lots of black now that the weather is cooling off. 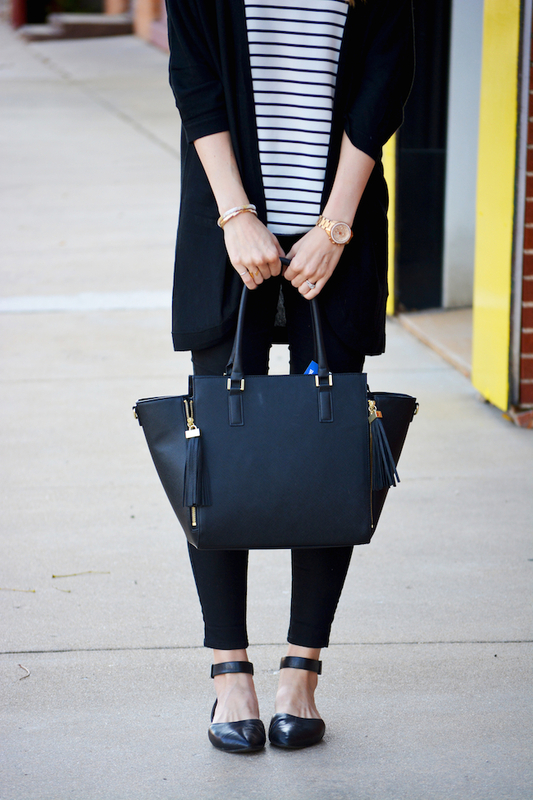 You may have seen this on my Instagram, but I found the gorgeous flats I'm wearing at TJ Maxx this past weekend for a fabulous $30 (online here)! I actually didn't even own a pair of black flats (shocking, I know), so I'm quite relieved to have found this chic closet staple in great quality for a great price.